Binance Labs made their first organized public appearance in an online conference held on May 31st to a crowd of roughly 600 institutional investors. 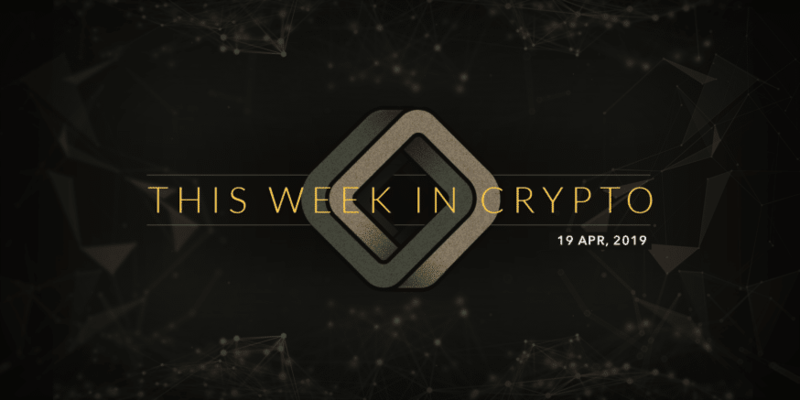 The Binance Labs team, led by CEO Ella Zhang made a series of tantalizing announcements which echoed the mission and direction of Binance and it’s incubator division, Binance Labs. Chiefly among those was the formal establishment of a one billion dollar Binance Ecosystem Fund. At the time of the announcement, the details of the Binance Ecosystem Fund were relatively brief considering the scale of the project. Furthermore, the rules and requirements to participate in the fund were still pending as the online portal was yet to be released. What the Binance Labs team did share was that the Binance Ecosystem Fund would be comprised of twenty well-vetted partners and be fully funded in Binance’s internal cryptocurrency, BNB. To add more clarity around the announcements Binance Labs held an AMA on Reddit. The crowdsourced interview reaffirmed most of the details previously announced and largely seemed to be an extension of the earlier conference but on a larger scale. The online community had a few common themes in their questions circling around how the Binance Ecosystem Fund will affect BNB and what might be the overall impact of this fund in the Blockchain space. In one example, Reddit user /u/erlende2 asked: “How will the Binance Ecosystem Fund affect BNB?” To which Binance Lab’s CEO Ella Zhang responded, “The profit from Binance labs will eventually flow back to the whole BNB economy and benefit all token holders.” Prior to this statement, Binance Labs had often taken the perspective that they are agnostic as a team towards the price of BNB even mentioning this in the same AMA later on. However, it would be tough for the Binance Labs team to not be able to see the impact that these announcements and projects have on their parent company’s, Binance, cryptocurrency. Binance is the world’s largest cryptocurrency exchange platform which grew into the industry at a breakneck speed. Coincentral first wrote about this rising exchange in a review as a competitor to the then king of crypto exchanges Bittrex. Within months the company exploded in growth and was no longer the new kid on the block(chain). Binance’s internal cryptocurrency, BNB, to-date has largely served as the facilitator for trades on their platform, offering incentives and discounts to their customers who elect to pay their trade fees with BNB regardless of the trading pair. Binance and Binance Labs could have a lot in store while continuing to evolve and stimulate the industry at large. Binance rose quickly but so far they have shown maturity during their an already bumpy journey from managing several billion in 24-hour trading volume to relocating to Malta in response to regulations and international pressures. The Binance Ecosystem Fund is positioned to be a powerful tool within the industry once established and could help bring more blockchain projects from development and ideas to use cases and customers.